The Afghan people had a chance this week to vote in a democracy. This is the second historical presidential election in the country. 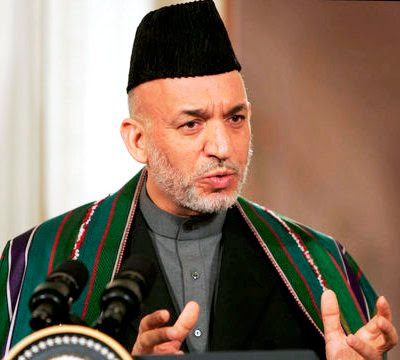 The presidential candidates included incumbent Hamid Karzai and challenger Abdullah Abdullah. The Taliban of course did not want a peaceful election so all week they worked to strike fear in the hearts of voters by staging random bombings and attacks. They even spread a quiet message through the streets that insurgents would cut a finger off of anyone who voted. 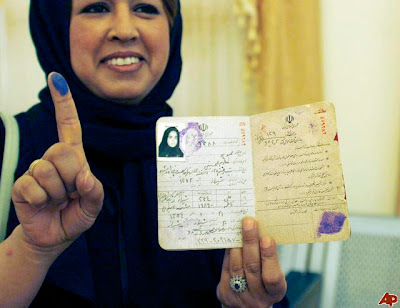 In Afghanistan, citizens who vote have ink on their finger to stamp their vote (much like giving your fingerprint). The violent threats worked somewhat and only about 50% of voters went to the polls. On the day of the elections, 26 people were killed, one election worker was shot and a box of ballots was seized and burned. They had already been tallied, however. 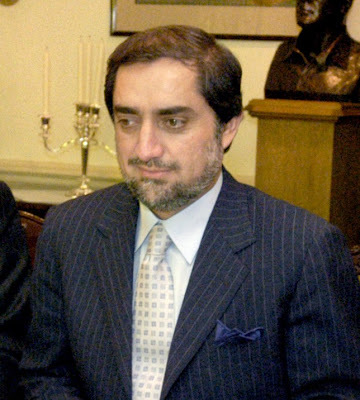 During the election, the Afghan government put a black-out on the media. There would be no election coverage broadcast on television or radio. Leaders were afraid (there's the fear again) that if voters saw the deadly upheaval from extremists on this day, they would just stay home rather than risking death by casting a vote. When I first read this news, my initial thought was: "How can they block the media from reporting on election day!? That goes against democracy and informing the public so citizens can make informed decisions." I began to consider the tragedy of censoring the media and how that should not happen in a country trying to be open and free. As the day went on and I followed the election coverage on the web, I changed my mind. Democracy means different things for different countries in stages of development. The concept of freedom is not always black and white as extreme thinkers demand it is. The insurgents see the Presidential Elections as a stone wall with barbed wire, a dangerous chance for people to form their own opinions and act on them. In this case, the media should not get in the way. While I believe it is important to have a free media in the United States, it's different here. We live in a country where lies and truth are both presented and Jane Public gets to decide. We don't have to worry about someone cutting off our finger in the streets while exiting an election poll. I admire the bravery of those Afghan women - and men - who still exercised their right. What do you think? Is it okay for government in a developing country to censor media coverage?